After the event 102 people had to be accommodated and fed on an island with only one proper dwelling house. 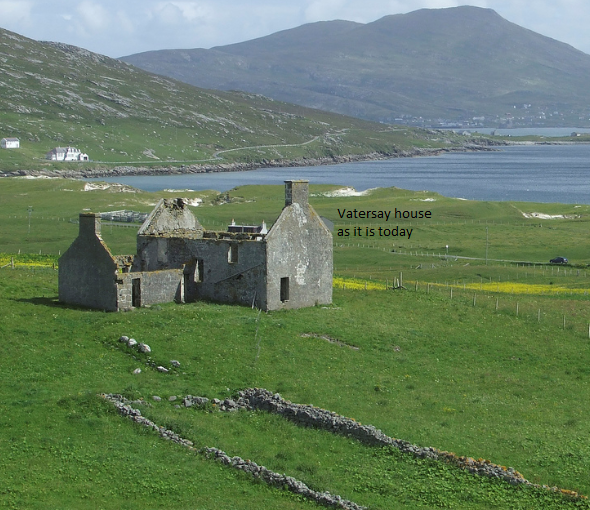 A few women the cabin passengers and some of the crew were accommodated in Vatersay house, the rest in farm steadings; primitive black houses, stables and pigsty. With some of the survivors being told to mind the pigs. Hospitality was grudging as the tenant of the farm a Mr Donald Mclellan was away and his brother was in charge. The first group of 30 leaving Castlebay in Barra on the third of October, sailing in a small sloop to Tobermory on the island of Mull. It was a full two weeks before the last group of survivors left the island of Vatersay, some taking over a month to get back home. Returning by way of Liverpool to reclaim their passage money and 15 shillings in expenses. “We had nothing to eat, and on the 29th we went to a field to dig potatoes, but were stopped by Mclellan’s grieve. * We then went to the brother of Mr Mclellan who told us there were plenty of potatoes and to go dig them. The grieve again interfered, when the brother came and scolded him, and we were never troubled afterwards. When Mr Maclellan came home, he consented to our digging a field that was threatened with disease. * Scottish term; meaning farm manager.